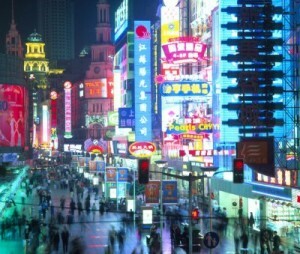 Shanghai has gone through a tremendous development over the last 2 decades. There have been several other cities that have changed dramatically over the years, Berlin and Dubai being the ones that I can think of off the top of my head, but Shanghai is a little different. Berlin has changed dramatically to rebuild what was destroyed during World War II and Dubai has misused its wealth to create a city that will never live up to what it wants.